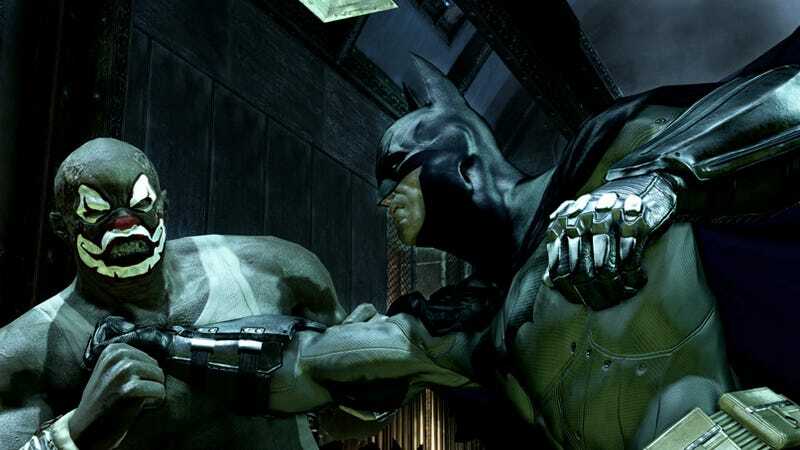 Santa Eidos has delivered 10 new screenshots for Batman: Arkham Asylum just in time for Christmas, proving that allowing The Joker into the community gangs outreach program might have been a bad idea. You'd figure that a place like Arkham Asylum would have figured out that letting prisoners mingle enough to form strong gang-based loyalties was a bad idea, but here we are, with screen-after-screen of Batman battling muscled goons in clown makeup. Oh yes, and stocking clown makeup at the asylum gift shop was probably a bad idea as well. Who the hell is running this place anyway, the lunatics? That's just bad business.